Laszlo combines the letter ‘z’ and a final ‘o’. Could any boy name be cooler? Thanks to Kelleita for suggesting our Baby Name of the Day. 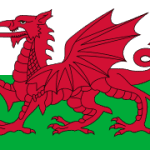 An entire family of names remains almost unheard in English. The Latin Ladislas or Ladislaus encompasses several Slavic names: the Russian Vladislav, the Polish Wladyslaw, and the Hungarian László. The name traces back to Slavic elements meaning ruler and glory. Plenty of names ending in -slav boast long histories of use in Eastern Europe. Hungarian is different from most other European languages. 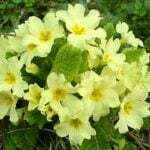 It comes from a a language first spoken near the Ural Mountains. Linguistic cousins include Finnish. No surprise, then, that Laszlo doesn’t look quite like many other names. 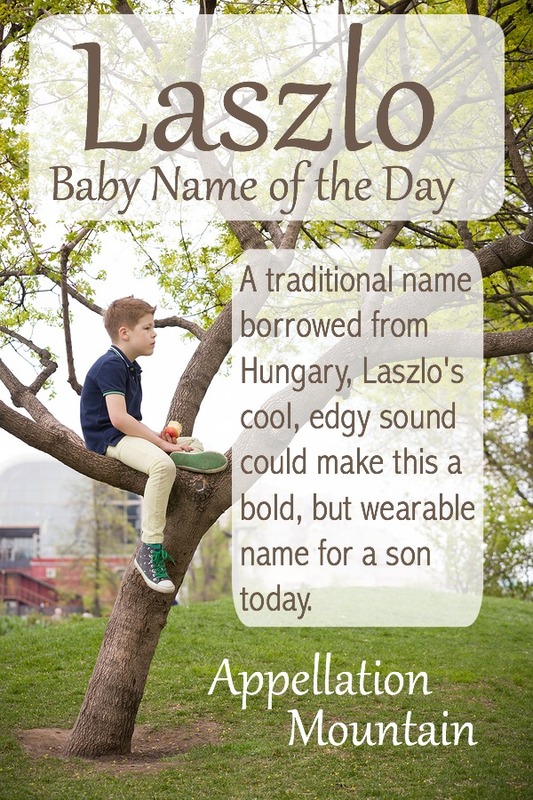 Most English speakers will pronounce it LAZ lo, though it sounds a little different in Hungarian. Back in 1077, the future saint Laszlo became king of Hungary. He ended civil war and expanded his kingdom into neighboring Croatia. He’s considered a national hero in Hungary. 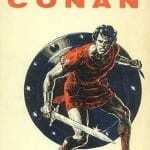 One legend tells that, during a battle, he spied the enemy kidnapping a Hungarian maiden. Despite being wounded, Laszlo gave chase, and with the maiden’s help, killer her captor and set the young woman free. It is a Top Twenty staple in Hungary today. If you recognize this name, credit Hollywood. First came 1942’s Casablanca, and Czech resistance leader Victor Laszlo. If you recall, Ilsa met Rick in Paris. She believed Victor, her husband, had died. Many years later, Isla and Rick meet again in Morocco. While Victor is the noble figure to Rick’s opportunistic cynic, Rick ultimately saves the day. Then game an early Val Kilmer film. 1985’s Real Genius cast Kilmer as Chris, a brilliant slacker student at Pacific Tech. The school is home to legendary genius Lazlo Hollyfield. They work together to ensure that Hollyfield’s work is not used to create weapons. In 1992, Michael Ondaatje gave the name to the main character in his novel, The English Patient. He wasn’t English, but a Hungarian explorer. He’s been horribly burned and rescued from Egypt. He’s recovering in a crumbling Italian villa during World War II, where his life story is revealed in flashbacks. Ondaatje based the character on a real life explorer with the same name. The real explorer lived long after World War II, eventually returning to Egypt to continue his research. The dashing Ralph Fiennes played the character in the 1996 movie adaptation, earning an Oscar nomination. Laszlo also occurs as a surname, worn by a notable writer as well as a painter. Cartoon Network gave the name to an animated spider monkey, and Doctor Who gave the name to a character in a 2007 episode. Rocker Pete Wentz named his named his younger son Saint Lazslo in 2014. That’s not a typo – Wentz and girlfriend Meagan Camper reversed the ‘z’ and the ‘s’ for their son’s middle name. Despite a mix of uses making the name more familiar in recent years, Laszlo remains rare. 23 boys received the name in 2015; that’s down slightly from a peak of 36 in 2013. Other forms of the name haven’t fared any better. In 2015, I counted 6 boys named Lazlo, and not enough of any other form to register. 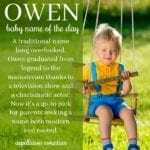 Overall, that makes this name an appealing option for parents seeking something traditional, but offbeat. If you’re heartbroken that Otto is back in the mainstream, perhaps Laszlo is the name for you. What do you think of this one? Does the spelling seem difficult? This post was originally published on February 3, 2010. It was substantially revised and re-posted on September 19, 2016. I have a family tree that dates back to 1400’s . All boys . I have a Laszlo family Crest ring very old very worn passed down to the first born Alexander . I do believe I am a direct blood to the first king of Hungary. You spelled Saint Wentz’s middle name Laszlo, the same way it’s spelled in all of the other places in the post, while mentioning the switched s and z. So, is he actually Saint Lazslo Wentz? Thank you for highlighting this name — MY name. However, I must protest quite vigorously. The pronunciation of the name Lászlo – while it IS simple, it most certainly is NOT “LAZ lo” . This mispronunciation – despite being wide-spread among English speaker- is still a MIS-pronunciation! Having acknowledged that this is a Hungarian name, then please tell your readers the correct, or if you will Hungarian, pronunciation. The two letters ‘sz’ are what is termed a diagraph (like ‘sh’ or ‘ch’ or ‘th’ in English) and have the sound “S” — NOT “Z”. with lo (as in “veo LO” [ I see it ] ). L. Laszlo Pallos, PhD Prof. Engr. I like the pronunciation better with that stronger S sound as you’ve described, rather than the Z sound. I think I could really like this name, but would worry in the states that the spelling and pronunciation would be a problem. Funny to stumble across this! We had a baby boy in December in Austin, TX and named him Laszlo. We obviously love the name! Was my Maiden name. Not a clownish name at all! Very distinguished Hungarian name and absolutely nothing clownish about my dad. Don’t let one silly cartoon ruin a wonderful name. So glad to see it was name of the day!!! Don’t forget that former actor Peter Lorre’s real name is Laszlo Lowenstein! Just woke up after having a dream that I should name my unborn baby Lazlo. So I googled it and came across this great site. Interesting ! Don’t forget Laszlo from “Meet the Robinsons” He’s one of the weird Uncles who live in the giant flowerpots. Funny stuff, that movie. And fun to watch. It’s one of Josie’s favorites. More and more reasons to embrace Laszlo! Thanks, S.
Very interesting! The only Laszlo I’d ever heard of was Laszlo Toth, who took a hammer to the Pieta, and then Lazlo Toth, a pseudonym for someone who wrote funny letters to big corporations. Lovely name and interesting history. Those are two famous Laszlos that I should NOT have missed! Thank you, H.
Ehh, Laszlo is not for me. It just sounds so … clownish. I used to watch Camp Lazlo a lot when I was younger so all I picture when I hear the name is that spider monkey! It is really fun to say though. Ah, that’s a nice phonetic explanation of Wladyslaw, Sebastiane! It actually was my father-in-law’s middle name, and a family name, too. But when he came to the US, he decided it was too out there to keep, so he dropped his middle name altogether when he became a citizen. Arthur and I once had a conversation about whether there was any possible way to use it for a child’s name, but decided it just didn’t work. Kelleita, funny he used Loddie – we kept wondering whether we’d call him Laddie. I love Ladislaus and Laszlo. Both incredibly handsome Eastern European names. The Polish version is pronounced (VWAH-dih-swahf), a common nickname is Wladek (VWAH-dek). Thanks, Verity, for doing this name! It was really fun to read its history! My grandpa, Ladislaus, went by “Loddie”, but I think Laszlo has far greater appeal nowadays.